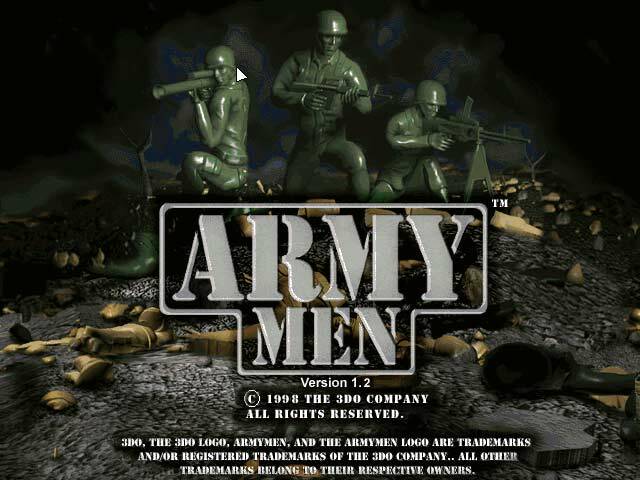 Army Men is a series of video games developed by 3DO and Global Star Software. 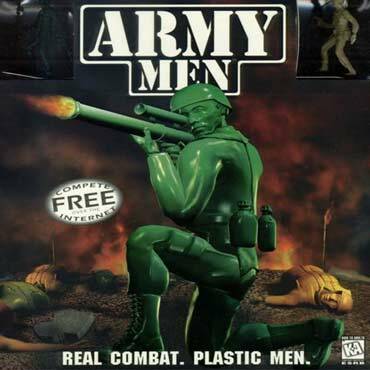 It is based on various conflicts between four kinds of plastic army men, distinguished by their color: the Green, the Tan, the Blue, and the Grey. Two other factions, the Red and the Orange, as well as a much smaller army, the Black, also contribute to the story. It's war! Watch your plastic, green and tan toy-soldier figurines come to life and vie for supremacy in this squad-level real-time action/strategy hybrid. In Army Men, you take on the role of Sarge, a grizzled veteran leading his troops through desert, alpine, and swampy settings, grabbing weapon power-ups and blasting his way to victory. Call in air strikes and paratrooper drops. Steal tanks and jeeps for destructive uses. Almost everything can be destroyed in this gasoline-soaked world. Soldiers die in a manner appropriate to the weapon that killed them: rifles break off plastic limbs, flame-throwers melt them into puddles of goo, and rockets send them flying into little bits. Both action and strategy elements are in abundance.